It has a large playground with a variety of things to swing, climb and slide, and a new addition since our last visit – a water park! 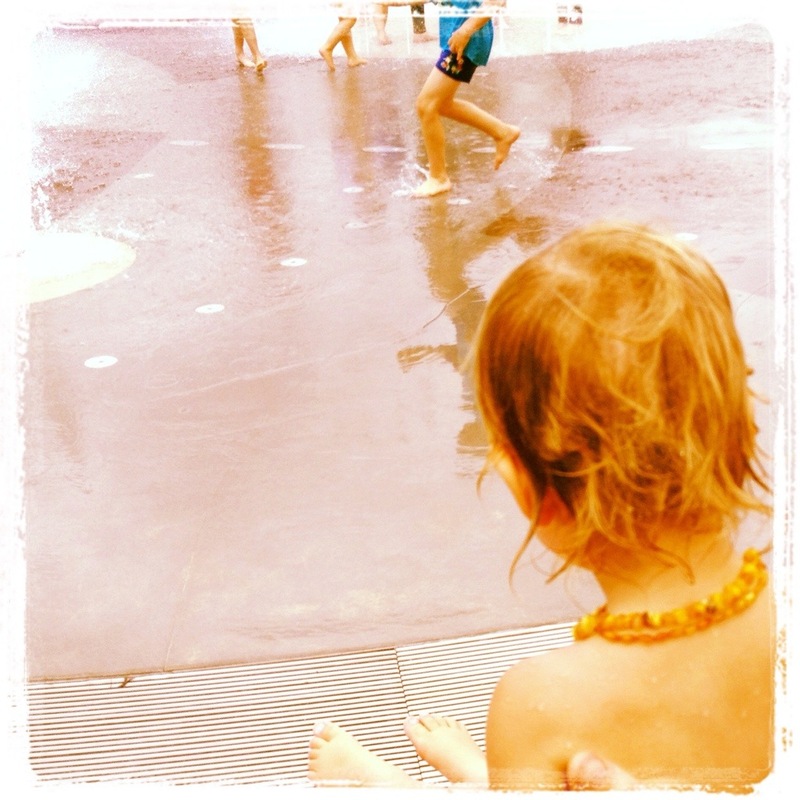 At the water park area there is a sandpit, and an area filled with water fountains that regularly change. As we didn’t know about the water park, so were quite unprepared, our daughter ended up going in with just her undies on, and trying on many occasions to wear less than that. My mother and grandmother came down to meet us, and, differing from the other play area, there is a lot of places to sit, and even a little cafe/kiosk. So while the older women in the family had a coffee hit, our daughter sucked down an ice block… An outing enjoyed by everyone in our family, especially our daughter, who didn't want to leave.